Francis J. Michaels Sr. - Howard B. Tate & SonFuneral Home, Inc.
Poestenkill- Francis (Frank) J. Michaels Sr. 85, a longtime resident of Route 355, died Sunday, April 17, 2016 at Samaritan Hospital in Troy, after being stricken at his home. Born in Grafton, October 19, 1930, Mr. Michaels was the son of the late Orville and Jenny (Ethridge) Michaels and for over 45 years, the husband of Joan E. (Gibbs) Michaels of Poestenkill who survives. Francis and Joan were married on May 2, 1970. As a young boy, Francis attended the Grafton District School. In September 1951, he enlisted in the United States Army where he served as a medical specialist assistant and earned the rank of Specialist 3rd Class. After more than 4-1/2 years of service he was honorably discharged on February 23, 1956. In the mid 1960’s, he joined the Construction Workers Union, Local #452 in Troy and worked for over 23 years as a laborer at the Duncan-Cahill Company in Troy. He retired in 1987. Mr. Michaels was a former member of the Wynantskill American Legion Post. 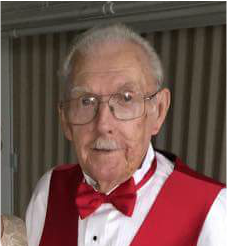 Throughout his lifetime he was an avid outdoorsman, enjoying hunting, fishing and camping, especially at Port Henry on Lake Champlain. In addition to his wife Joan, he is survived by his children, Bonnie (Don) Smith of Averill Park, Donna (Jeffrey) Dooley of Albany, Richard (Katie) Gould of Rensselaer, Leslie (Lorraine) Gould of Troy, Harry (Cindy) Gould of North Carolina, Alan (Donna) Gould of Wynantskill, Tom (Deanna) Gould of Rotterdam, Susie Key of Richmondville, Diane (Matt) Allen of Averill Park and Francis Michaels Jr. of Ohio, two sisters, Charlotte Bender of Kentucky and Alta Hoag of Latham, several grandchildren, great-grandchildren, nieces, nephews, cousins and his pets, “Whiskers” the cat and “Patch” the dog. In addition to his parents, he was predeceased by a daughter, Karen Michaels and several brothers and sisters. Relatives and friends are invited to call on Wednesday, April 20, 2016 from 3:00- 6:00 P.M. at the Howard B. Tate & Son Funeral Home Inc., located at 2237 NY Route 7 in Raymertown. A funeral service will follow at 6:15 P.M. Burial, with military honors, will be held on Thursday, April 21, 2016, at 1:00 P.M. at Saratoga National Veterans Cemetery in Schuylerville. ​At the request of the family, memorial contributions rather than floral gifts may be made to either the Poestenkill Fire Company “First Responders” Program, 182 Main Street, Poestenkill, NY 12140 or to the North Greenbush Ambulance, 409 Main Avenue, Wynantskill, NY 12198 in memory of Francis J. Michaels Sr.